Window replacement is one of the best ways to improve your home's value, add comfort, and even save on heating and cooling costs. Why Do a Home Window Replacement Project? What impact do your existing windows have on your home? Swapping old, low-performance windows with replacement windows can result in increased comfort, enhanced beauty and even add value to your home. Milgard custom-makes each replacement window to order to ensure a perfect fit and you can tailor each window to meet your specific needs in any room. According to a 2018 survey of cost versus value, Remodeling Magazine reported that replacement windows in upscale homes have an 83.4 % return on investment in the Pacific Region. If you’ve been considering home replacement windows, now might be a good time to take action. A Milgard Certified Dealer can help, or, take this short quiz to find the perfect window for your home. The style of your home plays a big role in the type of window you choose for each room. 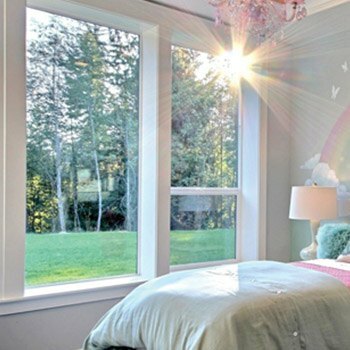 Several other factors affect the window glass and other features you'll want to use for a particular room. Let's consider some of the things that will influence your home window replacement decision. For a kitchen window over a sink or counter, a sliding horizontal window lets in lots of light and is easy to open when reaching over a counter. Think about what furniture or other furnishings you might put in front of a window or patio door inside your house. 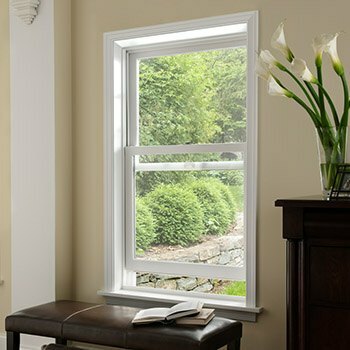 If a table, for instance, is going to be placed in front of a window, consider a casement window that can be opened and closed with one hand from a crank at the bottom of the window. In a home window replacement project, you have the opportunity to change the operation style of your existing window or even put in a patio door. Note: For a French patio door, be sure to consider how you want to use the interior space near it. If your use of this space would conflict with an in-swinging door, consider an out-swinging French patio door or a French-style sliding door. 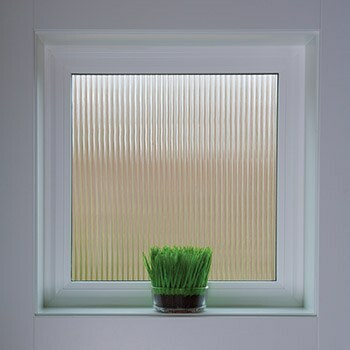 For a bathroom window or windows flanking an entry, consider privacy/obscure glass options. These provide privacy without the need for window coverings. A variety of colors and texture patterns are available for a translucent to semi-opaque effect. Transom windows and skylights provide ambient light without compromising privacy. If your house is near any source of noise, such as a busy highway or airport, consider Milgard's® sound control windows in Quiet Line™ Series. These windows are made with laminated glass (two or more panes of glass bonded together with a plastic inner layer) is highly effective in reducing noise. To give your home more curb appeal, it pays to choose your replacement windows carefully. Next to the style of a house (colonial, Cape Cod, ranch, modern), windows are the biggest factor in determining how your home looks to the outside world. Most older homes date back to the days when glass only was available in small panes. So it makes sense, when updating older homes to maintain a traditional look through the use of grids and trim. Generally, windows in the front of a house should complement the style of the home. 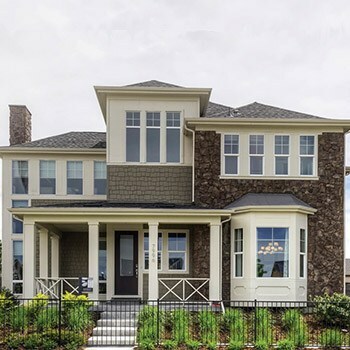 For many people, and many home styles, that means a traditional, symmetrical design. This is particularly important in neighborhoods where existing homes set a general style or style is mandated by code. On other sides of the home, you have more freedom. Assembled in configurations, windows and patio doors can create a wonderful sense of openness that brings the outdoors in and can actually make a room seem larger than it is. 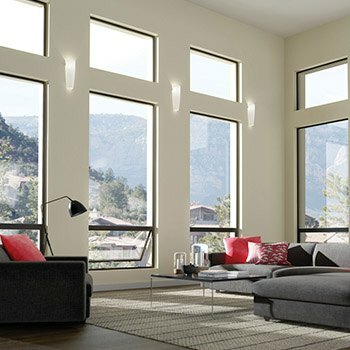 Picture windows can be combined with arch "half round" windows to add grandeur to a room. Flank a picture window with operating windows like casement or single hung to provide view and ventilation. Or place awning windows underneath. 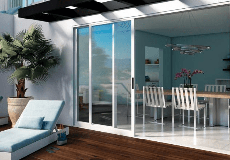 Sliding glass doors (standard or French-style) are a great way to bring in the view without the swing space required by an ordinary door or French patio door. On first floors, you may have security concerns. To keep your home secure, but still enable easy ventilation, you might consider combinations of picture and awning or casement windows. These windows are hard to pry open when locked. 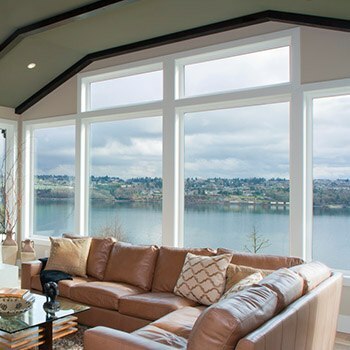 For a living room, consider combos of awning windows above or below a picture window. Local building codes usually have egress requirements for bedrooms, specifying the size and height of an opening you need to allow in the event of a fire or other emergency. Often, casement or sliding horizontal windows can be a good choice for meeting these codes. Be sure to discuss egress with your contractor or dealer. A basement window can be a particular challenge if you're also looking to ensure egress. Horizontal sliders are an excellent way to achieve ventilation and permit egress in window wells. If you have walkways or paths near your windows, you may want to consider windows that don't open out (such as horizontal sliders, single hungs and double hungs). That way, you won't block a pathway every time you want ventilation. In a child's bedroom, opening only the top sash of a double hung window for ventilation can add an extra measure of safety. Tempered glass is extremely strong. When it breaks, it shatters into little pebble-like pieces without sharp edges, reducing the likelihood of injury. Window and door manufacturers offer tempered glass for use in patio doors, side lights and windows in children's rooms, and in many cases, there are required codes for the use of tempered glass in bathrooms. Talk with your dealer or contractor to find out what's applicable to your home. If you're looking to control solar gain due to sun exposure you'll want to use extra high-efficiency forms of Low-E insulated glass to reject more of the sun's heat and damaging rays while letting you enjoy window light. Need air? Consider which way the prevailing winds in your area blow. Maximizing ventilating windows along this line can greatly improve the fresh air in your home. 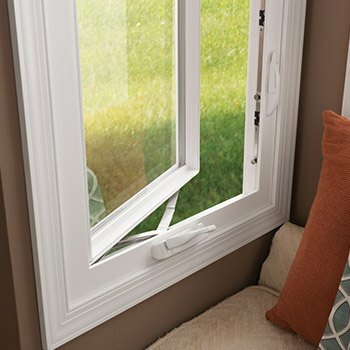 A strategically-oriented casement window can even funnel breezes into your home. Is there a side of your house that gets icy blasts of wind? Consider non-operating windows such as picture windows and radius windows on that side. These are among the best options for keeping the elements out of your home while letting natural light in. Be sure to select the most energy-efficient windows you can afford, and keep in mind that smaller windows will be more efficient in these situations. If you desire abundant natural light and fresh air, consider window styles such as horizontal sliders and casements as well as sliding patio doors that let in lots of air and light. Ventilating skylights are a great way to let in more light while providing a place for rising warm air to leave the house. Windows on the north, east and west walls can all be great for balancing interior light with natural light but can be energy drains in cold climates. Replacing these windows with energy-efficient options can help improve your heating bills. Need help with decision making? Schedule a free expert consultation. Here's what to expect when you choose Milgard windows to replace your old windows. Learn about the different types of installations and how your Milgard Certified Dealer can help you choose the perfect window for your home. Click here to learn more about the 4 different types of window replacement options and which one will be used on your project. Here's what to expect when you choose Milgard windows to replace your old windows. Learn about the different types of installations and how your Milgard Certified Dealer can help you choose the perfect replacement window(s) for your home.